Our family recently returned from an amazing two and a half week adventure in Spain. Reading the guidebook prior to our trip, I was amused that many of the smaller towns were described as “medieval”. My husband had visited Spain before, while it was the first time for the rest of us. I mentioned to him that many towns in Spain are described as medieval, and asked him if that was true. My experience in Spain taught me that yes, many towns are gorgeous remnants of medieval art and architecture. Yet, the larger cities had a distinctly modern and cosmopolitan feel. 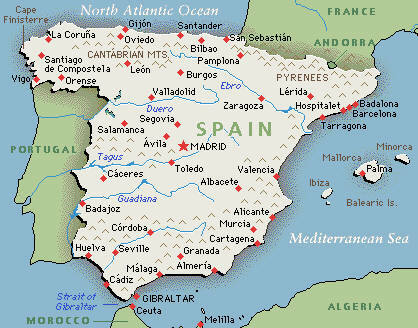 This is the route we took on our journey through Spain. We flew into the capitol city of Madrid. From there we journeyed north to a small town called Santillana del Mar, about a 30 minute bus ride from Santander. If you want medieval, Santillana del Mar is a beautiful village protected as a UNESCO World Heritage Site. We then spent a few beach days in the coastal city of Santander. From Santander, we journeyed to Bilbao. Bilbao was once an industrial city, but is now a more modern and updated city, with the Guggenheim Museum showcasing modern art. From Bilbao, we took the train to Segovia. Isabella and Ferdinand reigned over a unified Spain and much of the new world from Segovia, before moving their capitol to Toledo. From Segovia, we headed back to Madrid for a day or two before flying home. I will be sharing our trip with you in more detail, but here are some general impressions that I had while in Spain. The Spanish people are friendly and inviting. Traveling with four children can be a bit stressful and difficult at times. People were always volunteering to help carry strollers in and out of the metro, hold open doors, and helping in any way they saw possible. Madrid was especially refreshing. We lived in New York City and then the surrounding area for quite a few years. I love New York, but it is not especially friendly to children. 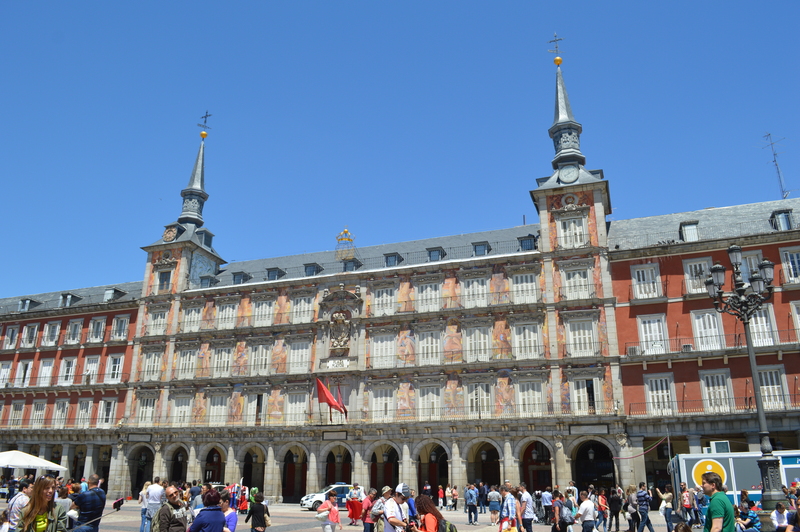 Madrid had many of the qualities that I love about New York; the wide boulevards, the museums, the parks, great restaurants, but was welcoming to children everywhere we went. In Spain, children are included in all aspects of daily life. That aspect of Spanish culture mirrors closely how my husband and I raise our children, which made for a very comfortable atmosphere. 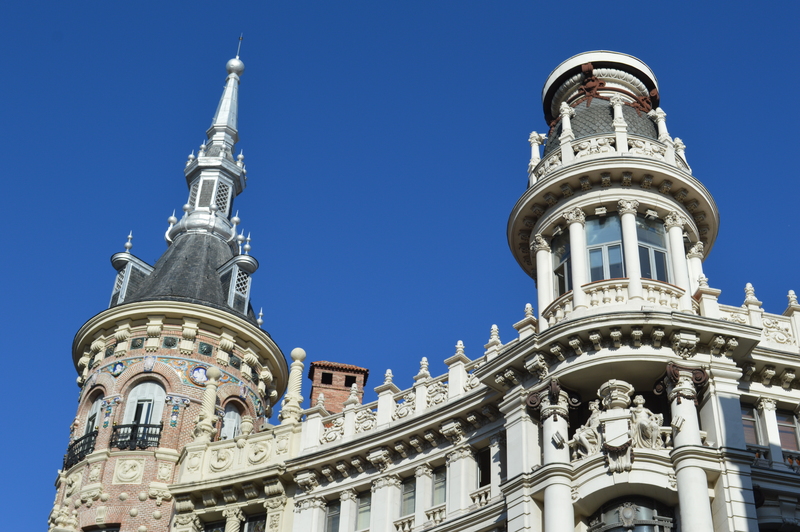 Madrid is also relatively inexpensive and has better weather than New York. We plan on spending more time there in the future. If traveling in Spain, it is a very good idea to speak some Spanish. My husband warned me before we went, but I was still surprised that many people did not speak any English. Even in Madrid, there was very little English spoken. My husband speaks Spanish, which made our trip go a lot more smoothly. At the very least, bring a good phrasebook with you to use during your trip. Spanish food can be quite amazing. It can also be quite different than what you might be used to. I admit, I do not have a very adventurous palate. I only recently in the past few years started eating any seafood at all. And I like my meat to be well cooked. Some of the areas of Spain were challenging for me. If you order a hamburger, there’s a good chance that it will still be bleeding in the center. If you order seafood, it will be easily recognizable as fish (most likely the head will be attached) or as octopus (the tentacles will still have suction cups on it). If you follow a vegetarian diet, there are very few options for you at most restaurants. If you follow a vegan diet, you might have to subsist on bread the entire time you are in Spain. My general impression of Spanish food is that Spaniards like meat. They like it raw, with maybe a few vegetables in tow. Our children survived by eating a lot of cereal and ice cream. And churros con chocolate. Still, with all the challenges of guiding our family across the ocean and through a new country, we had an amazing experience learning about modern Spain and its medieval past. It felt at times that we had taken a time machine back 600 years. We saw Roman ruins more impressive than those we saw in Rome itself. We saw amazing works of art that spanned thousands of years. History came alive for our children. And the warm welcome we received is sure to lure us back to Spain again.